Do you give Christmas gifts to your co-workers? I work in a small office (technically I only have two co-workers) so we usually get each other something small, but personal (around the $15-$25 range). However, I work at a university, so technically I have hundreds of co-workers. Fortunately I don't know them all, but the past few years I have received some unexpected gifts and not had anything to give in return. Awkward. 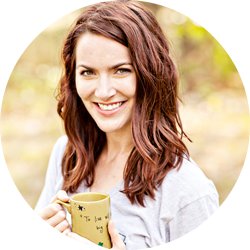 This year, I decided to make some big batches of food-y gifts to have on hand for those type of situations. 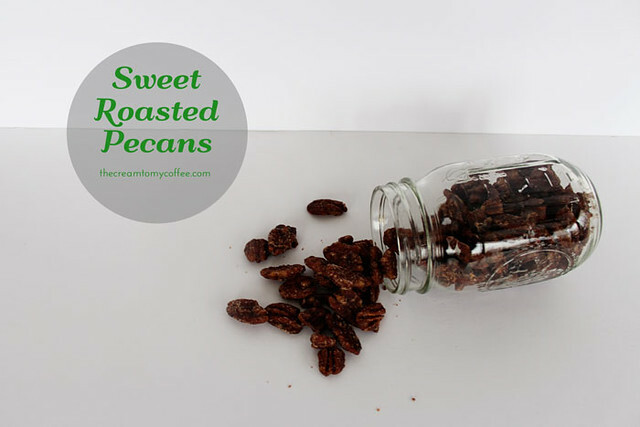 I wanted something easy but special, so I made Sweet Roasted Pecans. Line a cookie sheet with parchment paper. Heat a large skillet over medium heat. Add water and brown sugar to the skillet and cook until thickened (stir the entire time to prevent burning). Add the salt and the cinnamon, mix together and then add pecans. Continue to cook, stirring constantly, until each pecan is fully coated and there is very little liquid left in the skillet. When done cooking, scoop the pecans onto the cookie sheet. Use two forks to gently separate the pecans. Leave out to cool and harden. You can put these in pretty little bags, or mason jars like I did. Tie 'em with a ribbon and make it festive. I'm not going to lie, these are addicting. I ate more than I planned to... which may or may not have left less to give to friends. I equate roasted pecans with fairs and carnivals and wonderful things like that, so it is fun to have these in a completely different environment. What do you give your co-workers for Christmas? So cute:) I'd love to get such a lovely present) Great idea! Thank You for sharing such a nice post! I love the idea of putting them in the mason jars! Last year I made cinnamon-sugar crockpot almonds for my coworkers and plan to again this year. I just put them in little holiday snack bags. Such a great idea for a lot of people - and so cute! Forget the co-workers, I'm doing this for my brothers and in-laws! Best idea everrrr. This is such a great idea! There's absolutely nothing worse than getting a gift unexpectedly from someone and having nothing to give them in return. I also really love the idea of gifts in tiny mason jars. Who wouldn't love that? aren't mason jars THE best! we made cranberry vodka and chilli pepper tequilla this year. a friend made these pecans one year...absolutely delish!! $50 Libi & Lola Giveaway! 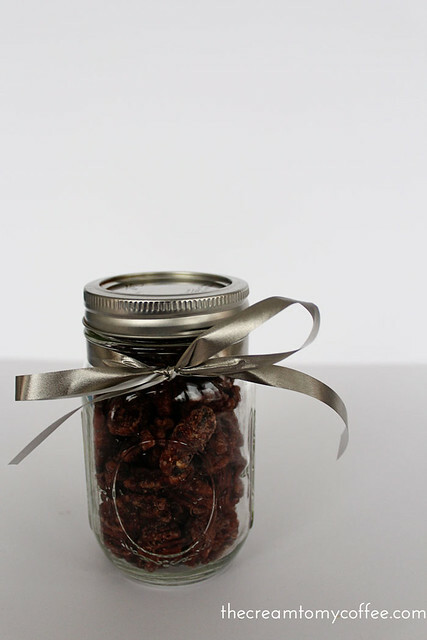 yum yum yum, I love sweet pecans and how you put them in a cute mason jar - what a lovely presentation! At work we usually play that pink elephant game (or whatever it's called) where each person brings a gift and we draw numbers and then people can trade gifts and fight over them (not really fight). It's fun! Last year I ended up with a gas card, not very exciting but super practical! Not sure what I'm bringing this year to the office xmas game but I'm hoping it's something funny but useful (and not too expensive). Yuuuum, I love sugared pecans. Maybe I can be one of those random university coworkers. JK! :) I hate not knowing if you should gift or not gift, this is a great idea. Wow, really nice post! I will try to do it! What a cute gift idea! I've been baking cookies and putting them in little jars or boxes to give to my friends this year. It's such an easy and fun way to wrap gifts. I love Pecans. These sound delish and easy to make. Something about combining kosher salt with brown sugar. Yummm. A Great Gift idea too. Since you are so crafty and artistic, I'd love for you to do a Holiday post too and show us your decor at home. Please and Thank You.